The new basketball comedy movie Uncle Drew tells the story of Dax (Lil Rel Howery) and his dreams of having a winning team in the Rucker Classic street basketball tournament. The Rucker Classic takes place in Harlem and the competition is fierce. Mookie Bass (Nick Kroll), Dax’s basketball rival, continues to badger and taunt Dax all these years later. This has created an intense rivalry between the two. One that has Dax going all out to win. Uncle Drew is full of laughs and, surprisingly, leadership lessons. 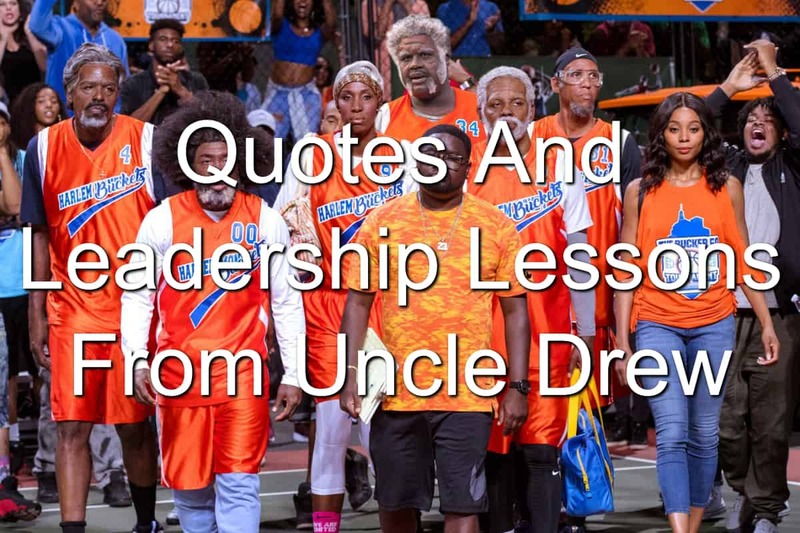 Let’s dive into the latest Reel Leadership article and seek the leadership lessons in Uncle Drew. The Rucker Classic was held in Rucker Park. There, great street ball players were created. There are some places that produce outstanding talent. These organizations aren’t the bad ones. It’s the great organizations that create great leaders. Be an organization that seeks to create great leaders. Look for talent and hone it. Send your talent to conferences and training. Help them become the leaders your organization and others need. Uncle Drew (basketball star Kyrie Irving) was a rising star on the Rucker Park courts. Then one day, Uncle Drew and his all-star players disappeared. There were rumors of why the team disbanded. There were rumors of why the men disappeared. But no one knew for sure. There are new leaders born and created every day. Some of these leaders rise through the organizational ranks quickly. They look like they’re going to be fire for the organizations they’re working for. Then, BOOM, they’re no longer on anyone’s radar. They’ve disappeared and gone away. Be careful of seeking the latest and greatest rising star leader. They can fade away as quickly as they appeared. When Dax was a young boy, he stumbled upon a game of basketball on TV. The big star of the day was Michael Jordan. Dax was enthralled and found an idol to follow. Michael Jordan became an inspiration for Dax. He was inspired by the way Jordan played and the way he ran his game. He knew he needed to become like Jordan. We all have that moment when we knew we had to become a leader. The moment is crystal clear and you can go back to that moment of inspiration. Never forget the inspiration you had for becoming a leader. This inspiration will get you through the good and the bad times. Why would you even say that about your little boy? Dax was a shoe salesman at Foot Locker. A mother came in with her young son and Dax tried selling them new shoes for his basketball game. Then the mother said an unforgivable thing to Dax. The mother said her son wasn’t good at the game. He didn’t need the shoes. Dax about lost it. He confronted the mother and asked how she could ever say something negative like that about her son. Leaders have to be careful about the things they say about those they lead. Their words have a lasting impact. Think twice about what you’re about to say to or about your team. Is it uplifting or is it discouraging? Do your best to be an uplifting leader. Dax lost his Rucker Classic team to his rival. When he did, he didn’t let this stop him. He began seeking out a new team. His hunt for a new team didn’t go well. Team after team shot him down. Yet he continued looking for new players. He wasn’t about to give up. He was going to keep moving forward. Discouragement will come your way. You will feel like throwing in the towel and calling it quits. As a leader, you can’t. You know you’re where you’re at for a reason. You have a mission to accomplish. Keep moving forward. Take it one step at a time if you have to. However, don’t give up. Not any instrument is more important than the other. One of Dax’s problem is seeing a star player and focusing solely on him and his talents. Before he recruited Uncle Drew and his friends, Dax placed all of his focus on the star player of Casper (Aaron Gordon). He did the same when he began looking for his new team. Uncle Drew gave Dax a reality check. In an orchestra, each instrument has a purpose. The same goes for a basketball team. No player is more important than another. We have to remember this lesson as leaders. We may believe there’s a person on our team who is better than another team member. Yet he’s not. He’s just different. Everyone on your team has an important role to play. You have to make sure you’re helping them play their role to the fullest. Uncle Drew dropped a lot of wisdom through the Uncle Drew movie. This is one of the most important leadership lessons in Uncle Drew to remember. It’s okay to be confident. In fact, it’s an important part of leadership. People don’t want to follow someone who lacks confidence. They want someone who believes in himself. However, there’s a fine line between confidence and arrogance. The line can be crossed rather quickly. Make sure you’re confident. Not arrogant. Preacher (Chris Webber) was the first of Uncle Drew’s former teammates to be picked up. And, in a comedic scene, Uncle Drew and Preacher pulled over their bright orange Chevy van for a nap. They knew rest was important. If they didn’t rest, there could be an accident. Are you taking time to rest? Every leader needs to find time to get rest. This could be a July 4th vacation with the family. Or you might need to take a week alone in a cabin in the woods. Maybe you need to take a nap during your lunch. Whatever gets you rested, you need to do on a regular basis. Don’t think you’re too big of a leader to get rest. You need it. You really think a few W’s can fix what happened between you and Big Fella (Shaquille O’Neal)? Something bad happened between Uncle Drew and Big Fella. This caused a rift between some of the best players Rucker Park had ever seen. It’s also the reason Uncle Drew and his boys left the courts and never returned. As Dax and Uncle Drew were recruiting the old team, Preacher confronted Uncle Drew. He knew what happened between Big Fella and Uncle Drew. He also knew winning wasn’t going to repair their relationship. Something else had to happen. There had to be reconciliation. You’re going to have broken relationships throughout your leadership journey and even in life. They’re going to be a bear to get through. They’re also going to require more than a win or two to regain the friendship that was lost. You’re going to have to step up and apologize. You’re going to have to make things right. When relationships go bad, make sure you’re willing to apologize and go to the lengths needed to repair the relationship. Maya (Erica Nash) was the niece of Uncle Drew’s teammate Boots (Nate Robinson). The team Dax was putting back together was a bunch of geriatrics who appeared to barely be able to shuffle around a nursing home, let alone a basketball court. Maya thought it was sweet of Dax to give them something to look forward to. She thought the idea of playing again would be good for them. Little did she know they could still play. When you have nothing to look forward to, life and work become a drudgery. You don’t want to go on to the next day or task because you don’t see a point in it. Give your team something to look forward to. Show them there’s a meaning behind what they’re doing. It’ll change their outlook. You can’t always play your way out of your problems. Big Fella and Uncle Drew had a confrontation. Uncle Drew offered to go one-on-one against Big Fella to hash out their differences. Preacher, the wise man he was, scolded Uncle Drew. He reminded him that he couldn’t play his way out of his problems. He had to work on them. You can’t lead your way out of problems. You have to confront your problems and work on them. This may include some form of leadership. But it’s different. You have to concentrate and intentionally work on the problems in front of you. When you do, things begin to change. Wounds are healed. Problems are solved. Dax was down and out on his luck. His finances were spent on the entry fee to the Rucker Classic. He had nothing left. This was a problem when the Chevy van they were driving ran out of gas. He didn’t have enough to cover a tank of gas. So… Dax saw a girl’s basketball team and their coach at the gas station. He made a bet with the coach that Uncle Drew’s team could beat the young ladies. One hundred dollars if they won. Well, they lost. Uncle Drew stepped up with the cash to pay the bet. And for the gas to get them going again. Uncle Drew was disappointed in Dax. Dax was unwilling to ask for help when all he had to do was ask. 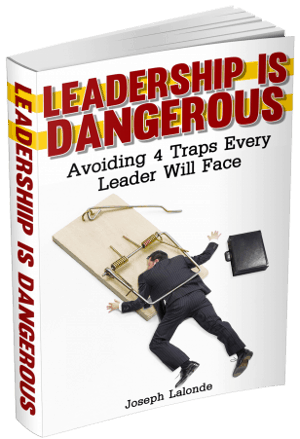 Are you a leader who’s unwilling to ask for help? Does asking for help make you cringe? Stop living in fear that asking for help is a sign of weakness. It’s not. In fact, strong leaders know they have to ask for help. They know there are smarter people than themselves out there. Without asking, they won’t be able to get their expertise or insights into the situations they’re going through. Be willing to make the ask. It’ll improve your leadership. Many of the commentators for the Rucker Classic laughed at the idea of Uncle Drew, Boots, Preacher, Big Fella, and Lights (Reggie Miller) playing against the youngbloods taking to the court. How could the old men beat the young men? It didn’t seem possible. Then the old men began to take it to the young guys. They won game after game. Eventually winning a place in the finals. There’s a lot of emphasis on rising, young leaders in today’s world. Young talent is seen as the best talent. Yet that’s not always true. We see in Uncle Drew a team of old players beating the snot out of young players. The old men were as good or better than the young men. In his book, Saved From Success, Dale Partridge talks about our society’s obsession with youth. The elderly are despised and youth is worshipped. Whether this is through 30 under 30 lists or in older generations trying to dress like youth, there’s a problem. Society doesn’t respect elders. Don’t kick older leaders to the curb. Instead, pursue their wisdom and knowledge. Lean on their for understanding. Pull out of them their experiences and avoid their mistakes. Uncle Drew’s biggest problem was his pride. He was unwilling to apologize for sleeping with Big Fella’s girl. Big Fella knew what Uncle Drew had done. Uncle Drew knew what he had done. He also knew it was wrong. Yet he was unwilling to apologize and say he was wrong to Big Fella. This caused more tension on the team. It’s also what originally disbanded the great team. Our ego and pride can get in the way of doing what is right. If you’ve screwed up, own up to your mistake. Say you’re sorry. Make things right. If you are unwilling to admit you’re wrong, you’re going to tear your team and relationships apart. Be a man and say sorry. We don’t need you to be great all the time. We need you to be great this one time. When one of the players was injured, Dax was brought in to play the final moments of the game. All Dax could think about was the block Mookie had made on him in 5th grade. He didn’t believe in himself. Yet Uncle Drew and the other guys did. They knew he couldn’t be great all the time. He could be great for a moment. You will feel a lot of pressure to be great all of the time as a leader. You will feel you have to have the best ideas or be the most encouraging person you know. We all know none of us can live up to this image. We will all fail. So, be great when you can. Take your shots and make them count. This is what matters. Be great when greatness matters. The reason Dax put together a team for the Rucker Classic was the $10,000 prize. That and he wanted to defeat Mookie’s team. As Uncle Drew progressed, Dax’s motivations slowly changed. They went from the money and revenge to creating a family. In the end, he created the family he never had. This success was more valuable than the money or revenge. Did you begin leading because you wanted to be a big shot? Did you want to have influence and power? How’d that work out for you? I hope your motivation has changed from a selfish, inward focus to an outward focus. One where you’re looking out for your team and creating something valuable with them in mind. Question: Have you seen Uncle Drew? If you have, did you take away any leadership lessons from Uncle Drew? If you haven’t seen Uncle Drew, what leadership lessons from Uncle Drew resonated with you? Let me know in the comment section below.